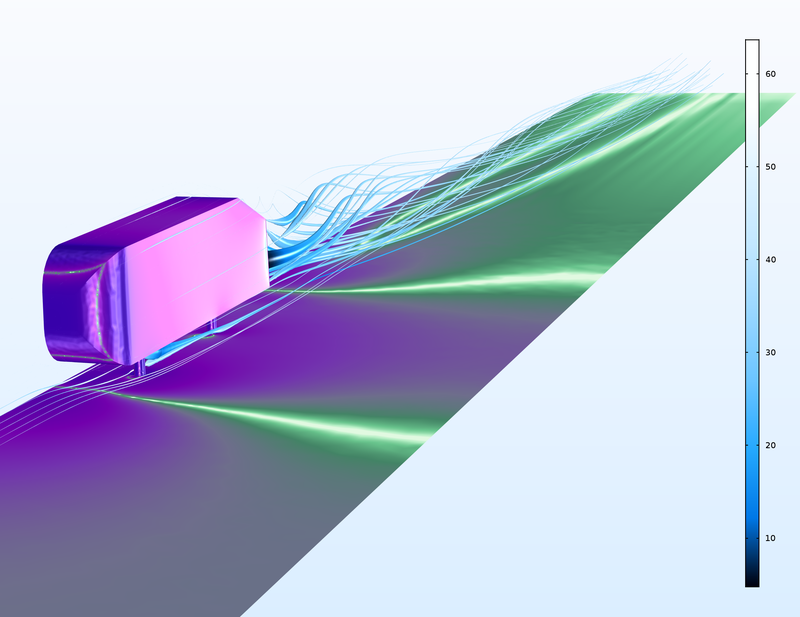 COMSOL Multiphysics® version 5.3a brings new rendering and visualization features and improvements, including a new color table optimized for people with color vision deficiency, compatibility with the 3Dconnexion® SpaceMouse® product, and the ability to export animations in the WebM format. Check out all of the rendering and visualization updates included in COMSOL Multiphysics® version 5.3a below. The new color table Cividis is optimized for viewing scalar data. The color table benefits people both with and without color vision deficiency. The Cividis color table was developed based on colormap data provided by Jamie Nuñez, Ryan Renslow, and Christopher Anderton from Pacific Northwest National Laboratory (PNNL). It provides perceptually uniform color changes. a. Unlike rainbow-like color tables, the color changes in Cividis have been optimized to change smoothly over the extents of the color table with the brightest colors representing the highest values. This helps to make features that are truly important stand out and allows for direct comparison between features. It is superior to grayscale tables. a. People can see the difference between ~10 million shades of color (hues), whereas we can only tell the difference between ~30 shades of gray, which is a major disadvantage of using grayscale. Some solution features stand out in colored maps, but not in grayscale. It is friendly to people with color vision deficiency. a. The Cividis color table was made specifically with color vision deficiencies in mind. While it is optimized for complete red-green colorblindness and normal color vision, it is also a great color table for other deficiencies. 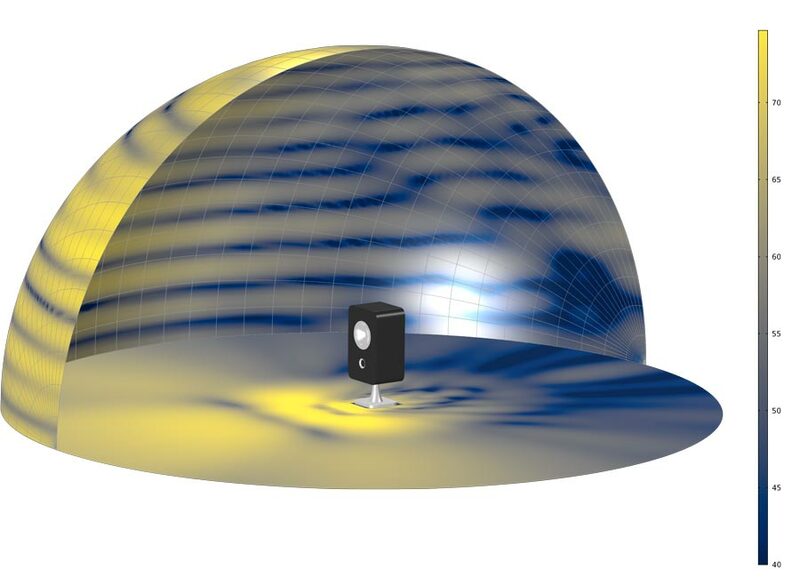 Visualization of a loudspeaker model with the new Cividis color table. Visualization of a loudspeaker model with the new Cividis color table. Users can now control the camera in the Graphics window using the SpaceMouse® product from 3Dconnexion. While moving the camera around with the 3Dconnexion® SpaceMouse® product in one hand, you can select geometric entities with a regular mouse in your other hand. Additionally, you can create interesting and unique views more easily when postprocessing your results. 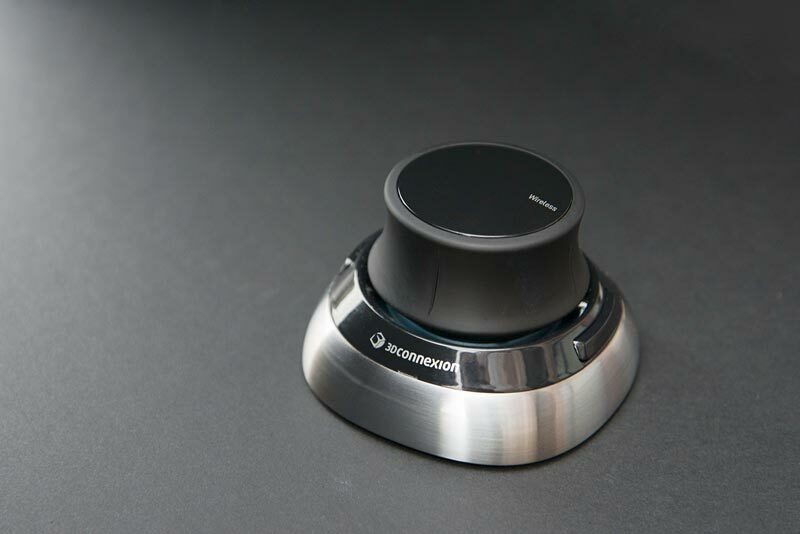 With the 3Dconnexion® SpaceMouse® product, you can maneuver in and around your model geometry with ease. Shown here is the 3Dconnexion® SpaceMouse® Wireless model from their Personal Series. Shown here is the 3Dconnexion® SpaceMouse® Wireless model from their Personal Series. Two new features have been included in the Graphics window to improve 3D navigation: controlling the center of rotation and rotating the camera about axes. When modeling in 3D, the rotation center will update automatically depending on your current view and while hovering over the geometry, clicking the middle scroll button manually sets that point as the center of rotation. The rotation icon is hidden by default. 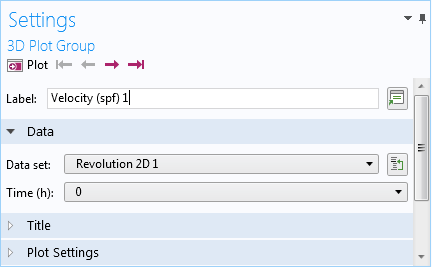 However, in the Graphics and Plot Windows section of the Preferences window, you can change the icon visibility to Always show or Shown only on mouse action. Additionally, you can rotate the camera about the x-, y-, and z-axes by pressing the x, y, or z button on the keyboard when rotating with the mouse. Computing plot data can sometimes take a lot of time, and it is now possible to save the plot data in the model so that this work only needs to be done once. This is especially useful for streamline plots, far-field plots, and plots in models that use the boundary element method. Additionally, it can take a long time to regenerate plot data when the solver has finished after running a study. Therefore, we have added an option for recomputing all plot data associated with a solver sequence when the solver completes. This makes it possible to inspect all plots without delay by performing a single operation, computing the study. A streamline plot in the Ahmed Body model from the Application Library. When creating animations in COMSOL Multiphysics®, you can now export them in the WebM format, generating high-quality animations for the web. These files may then be played directly in compatible web browsers, opened in media players, or uploaded to video hosting sites. Note that not all browsers and media players support the WebM format, but this can be resolved by add-ons in some cases. Embedded below are two animations exported in the WebM format from the COMSOL Multiphysics® software. The animations can be downloaded from this page. The gaussian explosion animation was generated from the model of the same name in the Application Library. The rising bubble animation was generated from a modified version of the rising_bubble_2daxi model from the Application Library. The gaussian explosion animation, exported with default settings at a 1920x1440 resolution. The rising bubble animation exported with lossless quality. The Filter attribute is now available in 1D for Global, Point Graph, and Line Graph plots. Long available for 2D and 3D plots, the Filter attribute lets you write a logical expression to include only the results you are interested in for that particular plot. 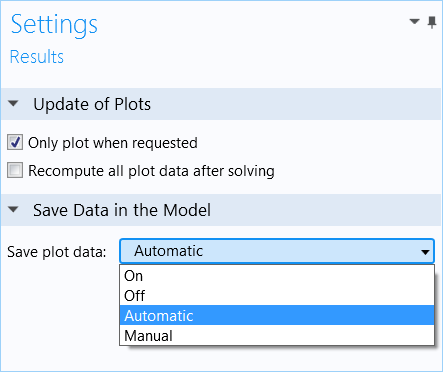 To complement the Plot Previous and Plot Next buttons in plot groups with multiple results, two new buttons are included: Plot First and Plot Last. When you have a plot group with multiple results, you can click these buttons to plot the first result in the data set or the last result. These added buttons give more leeway when clicking through results, when you do not want to use the drop-down list to select specific results. When exporting images from COMSOL Multiphysics®, you are by default using software rendering to export the images. However, you can turn this option off to get hardware-accelerated image generation, which uses your computer's graphics card to export images. As such, the functionality will vary across different computers, where a better graphics card will yield better results. To enable this option, go to File > Preferences > Graphics and Plot Windows and deselect the check box in the Image export section labeled "Use software rendering for image export." 3Dconnexion and SpaceMouse are registered trademarks of Société Civile "GALILEO 2011".